RKA Consulting Group provided professional engineering services for the San Jose Hills Road Traffic Signal Project in the City of Walnut, California. 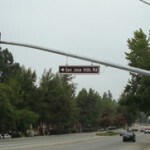 The project involved the design, construction administration, and construction management of the reconstruction of traffic signal and intersection street improvements at the intersection of Grand Avenue and San Jose Hills Road in the City of Walnut. The design and construction of these improvements needed to incorporate many different types of traffic demand on the intersection. Grand Avenue is a north-south arterial through the City of Walnut. The intersection serves as the only entrance into Mount San Antonio Community College on Grand Avenue. As well, a large volume of traffic is served at the intersection from a nearby elementary school. The traffic signal design included the demolition of existing traffic signal improvements, reconstruction of street improvements on all four corners of the intersection, and installation of a fully-actuated traffic signal with protected left turn phases on Grand Avenue and protected-permissive left turn phases on San Jose Hills Road. Construction was phased in such a way as to minimize impact on the users of the intersection throughout the duration of construction. RKA Consulting Group provided professional engineering services for the Hamner Avenue Synchronization Project, Phase I in the City of Norco, California. 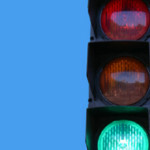 The project involved the design, construction administration, and construction management for the upgrade of traffic signals along the Hamner Avenue in the City of Norco. Hamner Avenue generally runs parallel to the Interstate 15 freeway and is the only north-south major arterial in the City of Norco. As such, it serves as a regional bypass when the freeway is congested. Synchronization of the traffic signals will assist in alleviating delays along Hamner Avenue during the peak traffic periods. Phase I of the project involved the upgrade of traffic equipment and the installation of wireless communication equipment necessary for the traffic signal controllers to communicate thereby allowing for synchronization. Phase II of the project will involve analysis, design, and implementation of the traffic signal timing necessary for synchronization.